Appearance is fast becoming the main priority for people in the UK with a person’s smile being the first feature noticed. Having a beautiful smile also increases your confidence and has been known to increase the possibility of promotion and also improve your chances of finding love. Dentistry is not just about keeping your teeth healthy but also improving its appearance too. Cosmetic procedures can be quick and easy such as Tooth Whitening, or a full Smile Design using Porcelain Veneers and Crowns. Sometimes just the smallest of treatments can make all the difference to your smile. Below is just an outline of possible cosmetic treatment available at Cygnet Dental Practice. For more detailed information click on ‘Read more’. Dental Veneers are thin laminates of porcelain which are placed over your existing teeth, rather like a false fingernail. They are used to improve a vast array of problems such as chipped, discoloured and stained teeth. They can also be placed over teeth that have minor cracks and can be used to close small gaps. 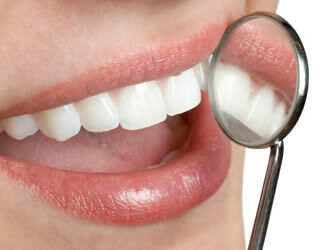 Teeth Whitening is probably the easiest and cheapest form of Cosmetic Dentistry. In as little as 2 weeks your teeth can be transformed, resulting in a bright, white smile. This is an extremely popular treatment. Its ease of use make it’s a fantastic option for people of all ages and best of all it can be carried out to fit around your schedule and life style. 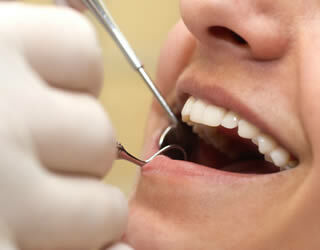 Teeth straightening, also known as Orthodontics, is when braces are used to realign the teeth. Orthodontic treatment has come a long way, meaning those days of wearing metal ‘train track’ braces for years are a thing of the past. Modern braces are discreet, tooth coloured, comfortable and work quicker. Fixed and removable options are available; the dentist will decide which one will be more effective for you. When you have a weak or damaged tooth, a dental crown is the best treatment to provide strength and protection. Dental crowns are usually made from porcelain or metal or a combination of both. They can also be made of gold. They are laboratory made and require 2 weeks to be fabricated. A dental bridge is an excellent option for replacing missing teeth. Just like a crown it can be made from porcelain or metal or a combination of both. They are also laboratory made. There a different types of bridges available to suit certain situations. Years ago when you needed a filling only one option was available. Thanks to modern dentistry and advancement in technology there are now a range of strong and long lasting cosmetic fillings. White fillings, inlays and onlays are an excellent alternative to the traditional amalgam filling. Inlays and onlays are the perfect alternative when a large filling is needed. Not only do these laboratory made fillings provide strength, but they are much more aesthetically pleasing as they look just like your natural tooth. Wanting to improve your smile? Do you foresee better things for your teeth? Get in touch using our contact form or call our friendly team. We are also proud to provide services for patients from across the area including local villages such as Downham and Shotgate.